Two Point Oh! LA held its 4th annual picnic at Icis Living and for the first time in four years temperatures weren't in the hundreds. The courtyard at Icis was the perfect place for the event. There were plenty of places to hangout and chat with friends and the pool was at our disposal. I’ve been to Icis Living so many times in the past six months I almost feel like I live there. In fact, I wish I did. This place is that cool! 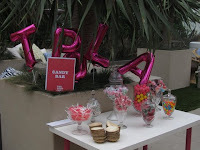 Inside the lounge area we were greeted by the lovely reps from Sole Society, Lulu’s, and Chilli Beans. 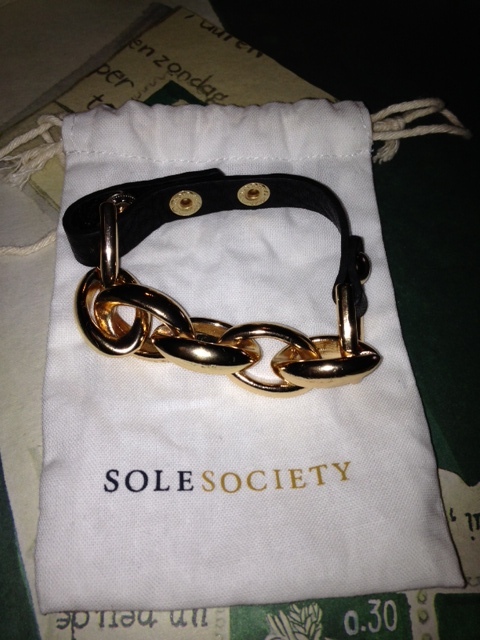 Sole Society has added a fabulous array of accessories to compliment their shoe line. This year we got to choose from bags, scarves, or jewelry. This chic chain bracelet was calling my name. Lulu’s and Chilli Beans held Twitter contests and awarded prizes to attendees at the end of the day. The gifting suite was hosted in the Champagne Deck. Thursday Friday provided cute mini totes for us to fill up with goodies from: Pati Dubroff (Pro Neutral Eye Palette and Lip Balm) Lift Lab Skin Regeneration Daily Cleanser, IT Factor – Simply It Quick Blowdry Smoothing Lotion, Clean and Clear – Morning Burst Hydrating Facial Cleanser, Stur – Love Water Naturally Water Flavor, Neutrogena – Shine Control Primer, Jouer – Lip/Eye Set, Glytone – Rejuvenate Daily Cream SPF 15, and jewelry from Capwell and Co. I couldn't wait to get home and test everything out. 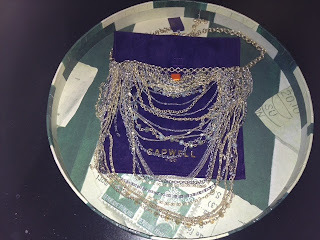 My necklace from Capwell and Co.
By the end of the day we were all in agreement at this was the best Two Point Oh! 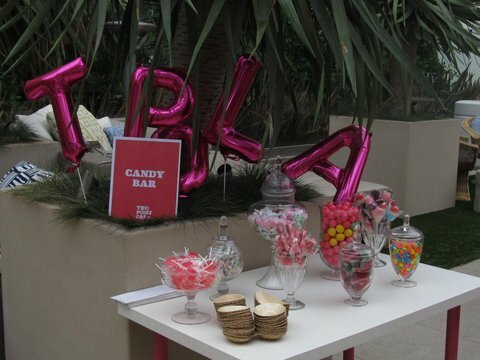 LA Picnic. So much so, that I’m already looking forward to next year. A big THANK YOU to Kelsi Smith and her crew for organizing such a great event and, of course, to all the sponsors as well.